You won’t find anything else on the market to match the unique compact design of this canister. Available in multiple sizes, this unit saves space, simplifies maintenance, and relieves accurately. This combination unit includes a vacuum breaker valve, an inline filter element, a weighted relief valve and a vacuum gauge. When the vacuum breaker valve opens, only filtered air flows into the blower. Our popular weighted relief valve is accurate from release back to the set point within 0.8″Hg. An optional differential pressure indicator can signal when the filter element requires cleaning or replacement. 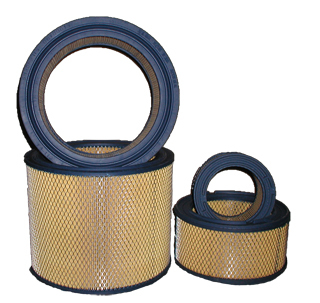 Filter elements available in paper, polyester, polyurethane, and wire mesh.